The Lope: Ace in Maxim? Not exactly. But Maxim is running a photo they found on this blog. No, not this cover girl; it was a photo of a miniature golf obstacle. 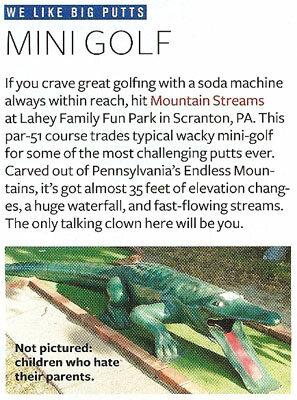 On page 80-something of the June Maxim, the magazine ran one of my photos under a block of text describing a miniature golf course in Pennsylvania. However, the photo was shot at Route 66 Carousel Park in Joplin, MO. I also worked for Land Line magazine again last month (for the June issue) updating the status of tornado-ravaged Greensburg, KS, and its efforts to rebuild "green." I'll have more pictures from that on the blog, when I can get to them. 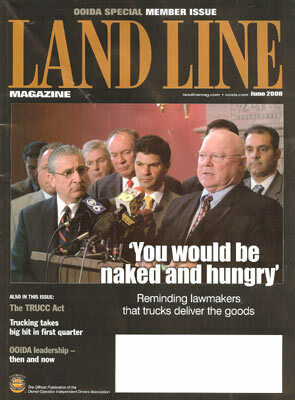 Of the two magazines, the word "naked" is on the cover of the one with businessmen in suits instead of the skimpy model. That's just not right.